Last week I had planned surgery at George Town Hospital. 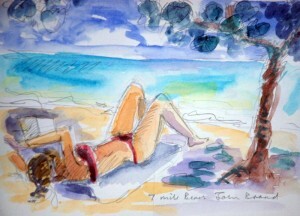 Next to me at Admitting was John Broad, one of Cayman's most celebrated artists. While we waited, we talked about life after retire ment, as John first came to Cayman as a teacher when I was also involved in education. John, who was born in the UK is a graduate of Edinburgh College of Art. In 2004 he was commissioned to create Cayman's Wall of History alongside the courthouse in George Town celebrating our Quincentennial (500 years) Anniversary. 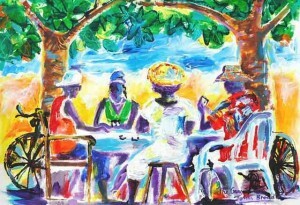 John is one of Cayman's best known artists, and his work is in private collections both here and abroad. He has taken part in one man shows and mixed exhibitions both locally and in Europe. 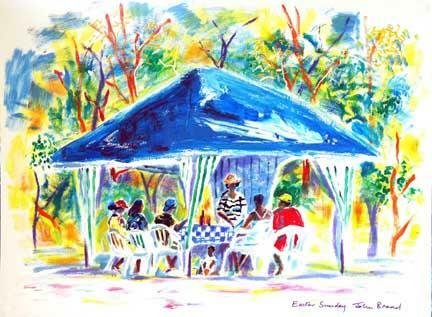 His speed painting, where he paints an event live has raised many thousands of dollars for various charities and institutions. Recently he conducted a "Bottles and Brushes" event at Camana Bay, whereby guests recreated Vincent Van Gogh's Starry Night painting. He also still teaches painting as part of the National Gallery of the Cayman Island's education programme. 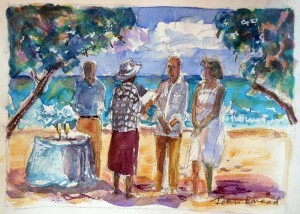 Now you can have John Broad paint your wedding live, or you can have him paint it from a photograph. This is the ultimate wedding gift, to yourself or for a friend or family. 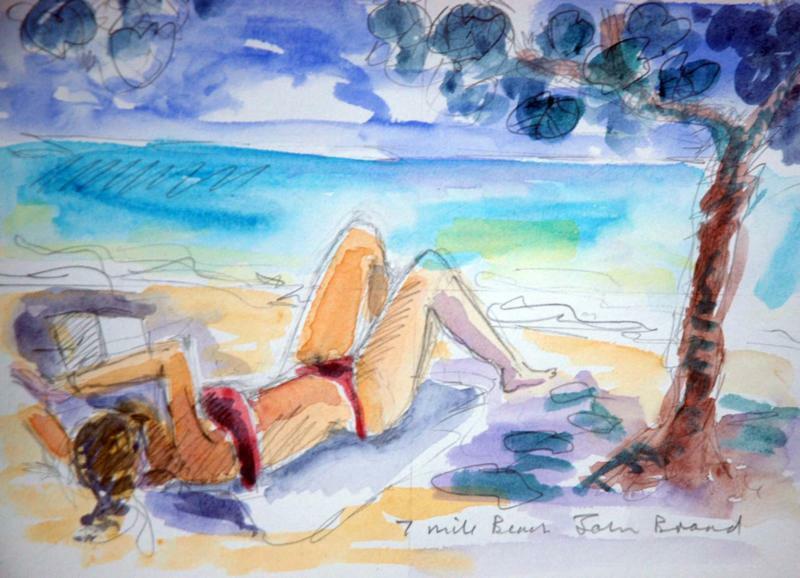 Live paintings are in water colour, but you can also order charcoal sketches, acrylic or oil paintings of the event and have them shipped to you, either framed or unframed. 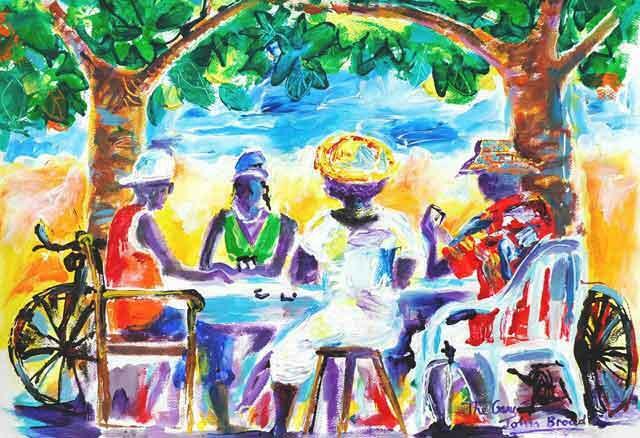 You can see examples of John Broad's work all around Grand Cayman, including the Simply Weddings office at 306 North Church Street. If you are interested in your own original painting of your wedding in Grand Cayman, just send us an email through the Contact Us page of this website.